Available immediately. Newly refurbished 2 bedrooms and 2 toilets. Whole unit to yourself. 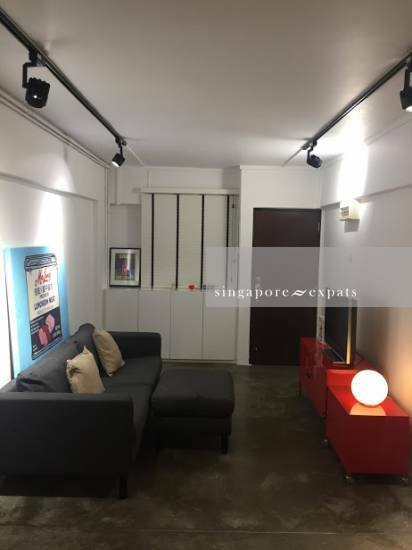 Nearby to 24hr Sheng Shiong supermarket, 24hr coffee shops, less than 10 mins bus to AMK MRT with more than 8 buses. Direct buses to city centre, stroll away from Bishan Park. Famous Mellben Seafood and Boon Tong Kee Chicken rice are just 2 blocks away. Hawker centre just 3 mins walk. Suitable for small family or 2 persons. Please text me your interest at 9761-4385. I'm the owner, no agent fee required.